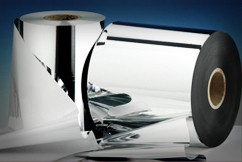 As a one of the leading suppliers of polyester (PET) films, especially value added and speciality products - the Ester Film Business Unit is a supplier of choice for customers across the world. There are two types of growth strategies adopted by industry players: the first is basically volume driven and focusses on establishing significant supply capacities, while the other is based on providing customized solutions through use of innovation and technology to enhance packaging performance and contribute towards the environment. Ester is quickly establishing itself in the latter space. With our state-of-the-art manufacturing facilities, efficiently managed operations and committed work force, we offer our customers a value proposition based on innovation, development and partnership. By offering superior quality and cost effective products, we have gained the recognition, trust and support of our clients worldwide. We offer the most extensive product portfolio with a formidable reach across more than 85 countries globally. We continue to expand our list of highly satisfied clientele across the world. Ester's packaging film business is engaged in manufacturing of BOPET films since 1989 at Khatima, in the state of Uttarakhand, India. The production facilities have expanded since then to keep pace with significant development in polyester film applications and hence the demand. Ester now has 3 sophisticated production lines from Dornier (Germany) capable of producing films from 3.2 meter to 8.7 meter width. These lines are supported by two nos. state-of –the-art metalisers (Make: Applied Materials), a backward integrated PET resin plant (Continuous Polymerisation) and an offline coating machine. Our largest polyester film line (8.7 meters) is supplied by direct melt from the Continuous Polymerisation Plant which enables us to have a better control on product quality.